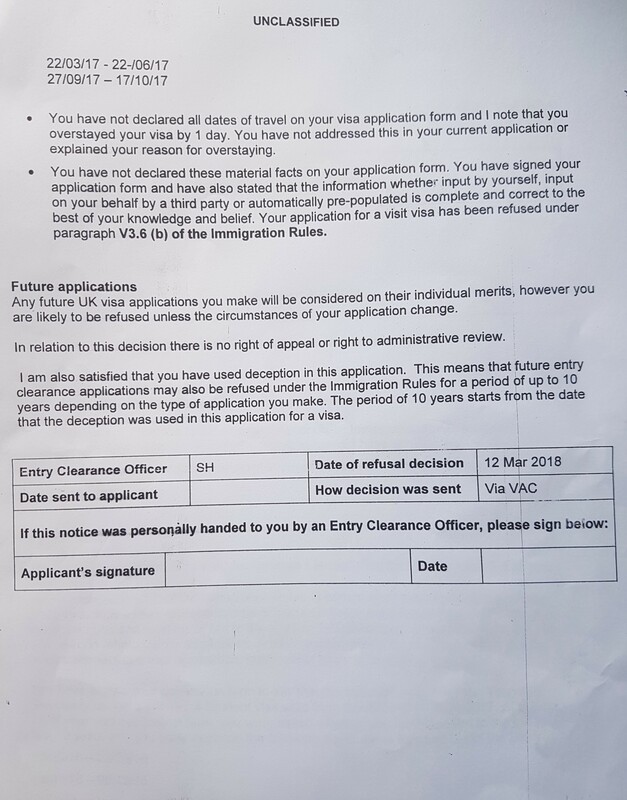 I had applied for a visit visa in March 2018 for my graduation in the UK but was refused on ground of deception. At the time I made the application, I was in the Nigerian law school so I contracted a visa agent to make the application for me. I had given him my passport and all the relevant information necessary for a successful outcome, but unfortunately for me, he failed to provide all my travelling details in my application. Out of about 6 inbound and outbound flights from the UK, he provided the immigration with only two ( my last two inbound and outbound). In all honesty i failed to look at his job meticulously before affixing my signature and submitting the application.For this reason, I was denied a visa and sadly, I missed the opportunity to attend my graduation. I just got an admission for an LLM programme in the UK but my counsellor confirmed that indeed I have a 10 year ban. The refusal letter states that future entry will be considered on their individual merits...and that I may be refused for a period of up 10 years depending on the type of application I make... ! 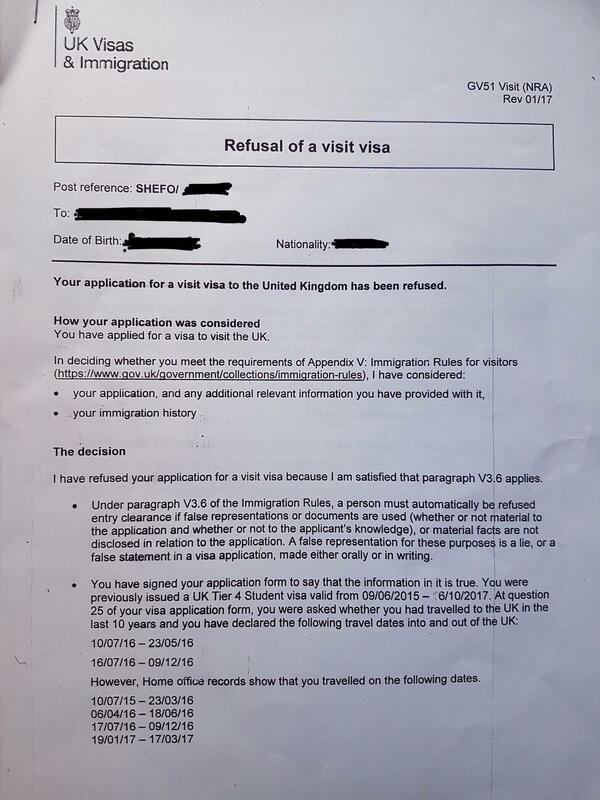 You signed a document which you didn't check and sent it to British immigration. I forget the wording but you would have certified your application as 'true and complete' which clearly it wasn't. I find it unlikely that the immigration officer would find deception for leaving off details of a couple of flights. They'd have used some lesser form of words to refuse you, so it seems that your agent has included something more serious, or omitted something significant that should have been included. Have you been refused entry before? Whatever, you are held responsible for what the agent supplied because you signed it. Now you have a ten year ban. It will not be easy to get this waived. If it was there'd be no point in imposing it. You can forget about going to Britain any time soon. Even after the ban has expired you will probably find it difficult to get a visa to visit the UK. You have few options, and they are all expensive. You should consult a good lawyer with experience in difficult UK immigration cases. He should be able to give you an assessment of your chances. If he can see a case for arguing that the ban is incorrect you might be in with a chance but you'll need plenty of money and you won't get a solution in the short term, or maybe not at all. Don't go to a Nigerian 'visa agent' - that's what got you into this pickle. What's worse is that you'll have to disclosed this refusal and ban on visa applications to other countries, and that will make getting those visas harder too. Not the answer you're looking for? Browse other questions tagged visas uk customs-and-immigration nigerian-citizens fraud or ask your own question.